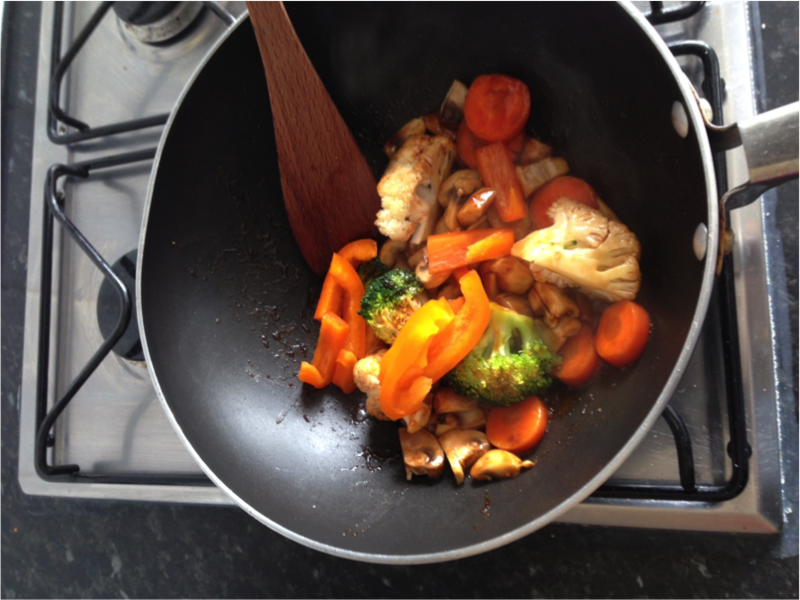 If you have got some leftover vegetables that you don’t know what to do with, why not whack them in a wok?! 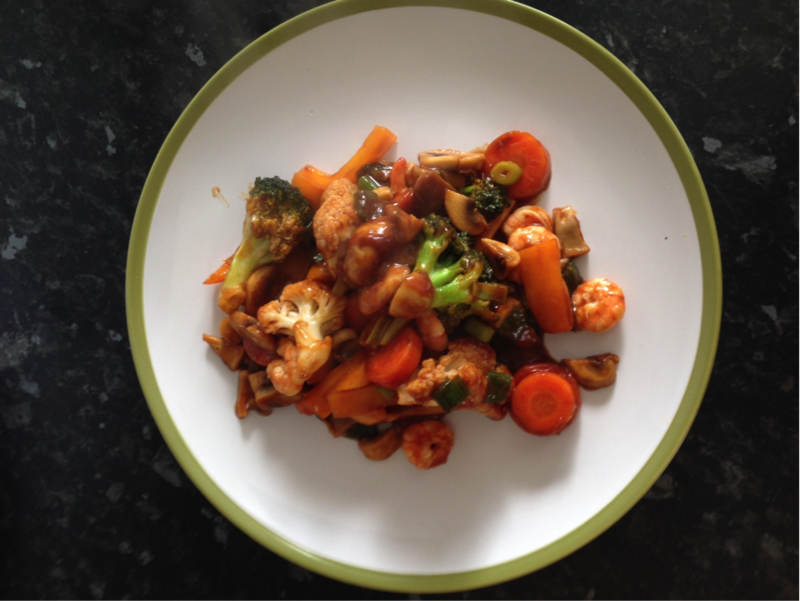 A stir-fry is a quick and easy dish, ideal for a mid-week meal and you can put almost anything in them. 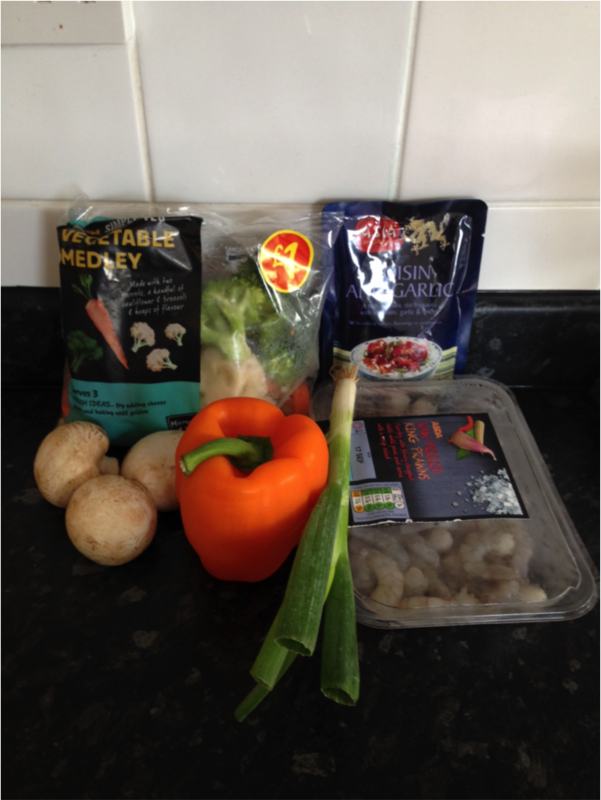 I’ve used prawns, but they can be substituted for chicken, beef, pork or even quorn/tofu for a vegetarian or cheaper option. The following ingredients are appropriate for one serving. Heat the olive oil in a wok over a medium heat. 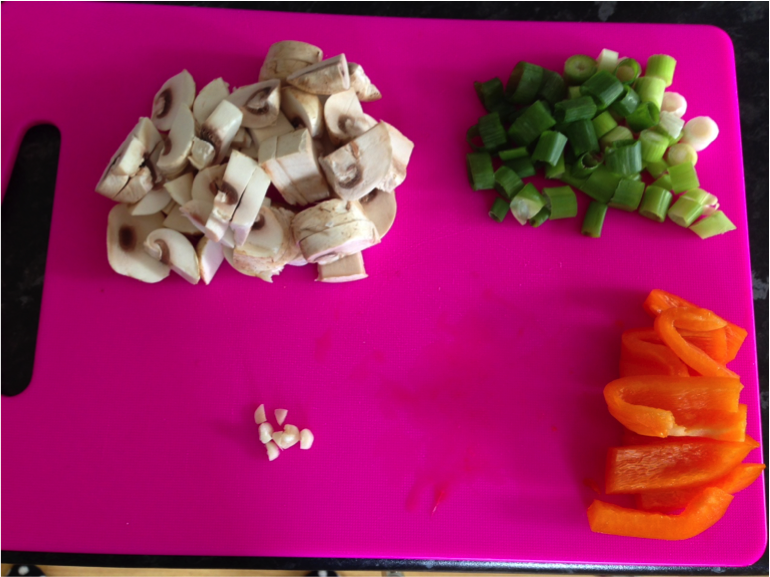 Prepare the mushrooms, spring onions, peppers, and garlic. 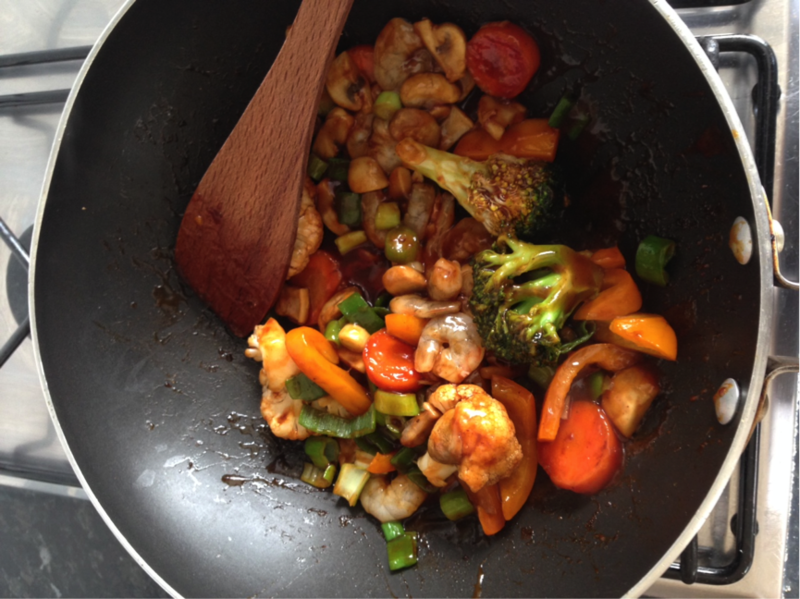 Add the mixed vegetables to the wok. 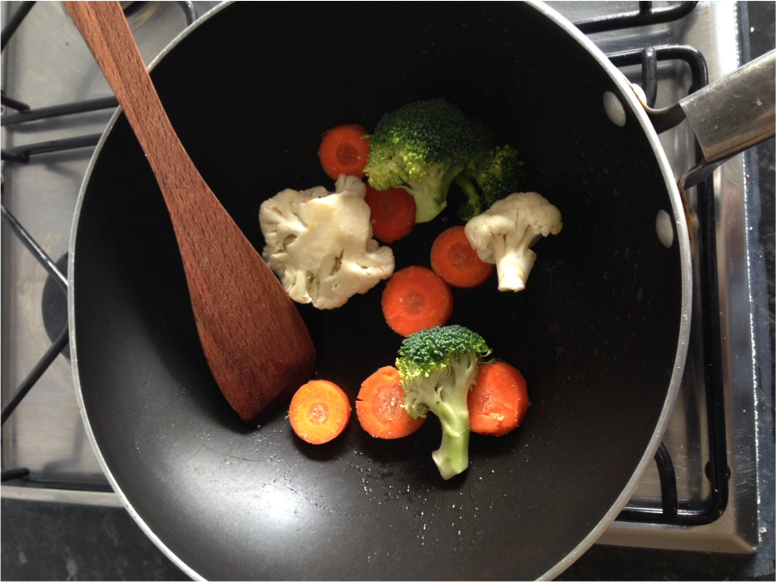 Once the cauliflower, broccoli, and carrots have softened – add in the peppers, mushrooms, and garlic. Prepare the fresh prawns. 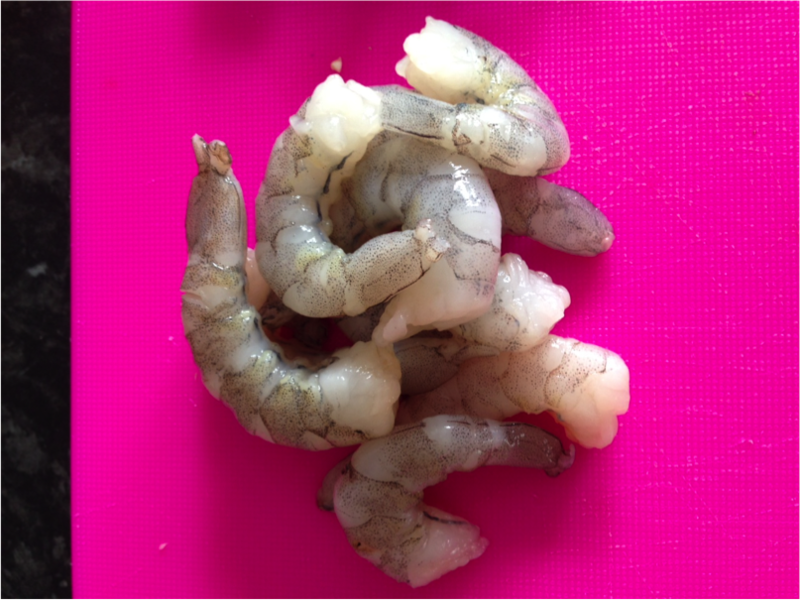 Remove the dirt sacks by slitting the prawn (along the dirt sack which looks like a black string) and remove it with a knife (if you’re really unsure you can watch videos that show you how to do this. It’s not a necessary step, but it does make a difference to the taste of the prawns. I always find that prawns that haven’t had the dirt sacks removed taste rubbery. 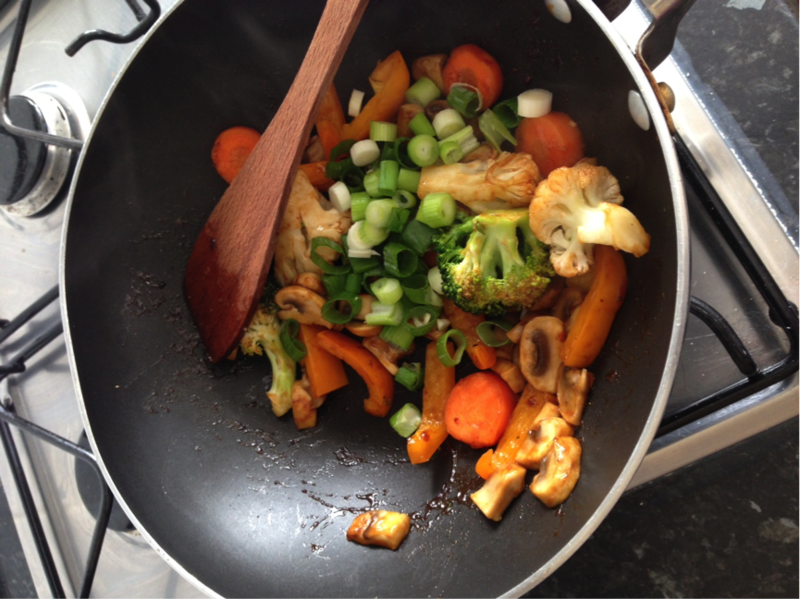 Add the spring onions to the wok.